Christians in a village in Pakistan’s Punjab province have been told to remove every visible sign of Christianity from their church, six months after being forced to sign a form pledging they would no longer hold services. The 40 Christian families in Nayya Sarabah (Chak 336) village, part of Toba Tek Singh district near Faisalabad, haven’t held a service since before Christmas. Muslim resident Hajji Muhammad Siddique told World Watch Monitor that, as “Muslims are in the majority in the village, we can’t allow a church here”. The church is run by Pastor Samuel Masih, but it is Rafaqat Masih, a union councillor for minorities, who has been at the forefront of efforts to resolve the matter. Most of the Christians are poor labourers. 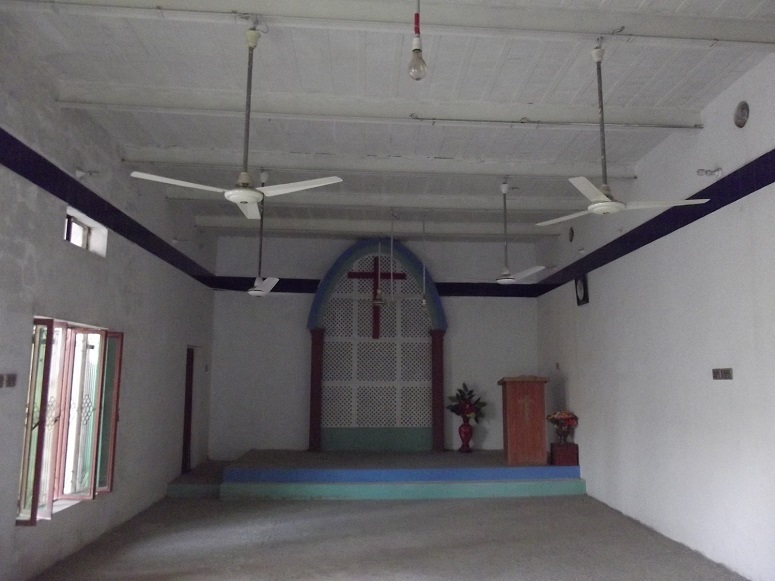 The church belongs to Full Gospel Assemblies, an evangelical group working in Pakistan, and was built on land belonging to 70-year-old Christian named Rafiq Masih. The police station in the nearby town of Rajana brought together Muslims and Christians of the village on 14 December 2017, and had them sign an agreement according to which the Christians would “hold religious ceremonies in their houses. There will be no programme in the church. If anyone will violate this agreement, then legal action will be taken. [Christians] will not gather in any house for a religious programme. If there will be any violation of this, legal action will be taken”. That same month, the Muslims submitted an application to close down the church, and the local police and civil administration told the Christians that, as their church was not included on the official list of churches that must be provided with security on Sundays, they could no longer hold services. The Christians in the village have therefore not held a service this year, but have made frequent visits to the civil administration to either permit them to hold services in their church or to provide them with an alternative venue. Christian and Muslim villagers were called together for another meeting on Saturday, 2 June, held in the presence of Deputy Superintendent of Police Muhammad Tahir. After the meeting, Rafaqat Masih told World Watch Monitor: “We are being forced to demolish the existing church structure and, in lieu of this, they would let us build a church on a piece of government land outside the village which is already dedicated for a school. Masih, who runs a small shop in the village, told World Watch Monitor that he had submitted an application to the Toba Tek Singh Deputy Commissioner for including the name of the church in the list of the churches which are provided security. “The civil administration tells us that they cannot provide us security, so it is in our benefit that they have stopped us from holding a church service,” he said. Deputy Superintendent Muhammad Tahir told World Watch Monitor that the Christians being forced to pledge to end services was not legal. “We are trying to amicably resolve this matter,” he said. Rasheed Jalal, a member of the district council belonging to the Pakistan Muslim League-Nawaz, said the Christians were “not being treated equally”. He said he had met with several senior government figures, including the Provincial Minister for Human Rights and Minority Affairs, National Assembly members and Muslim clerics, but that “nothing worked”. 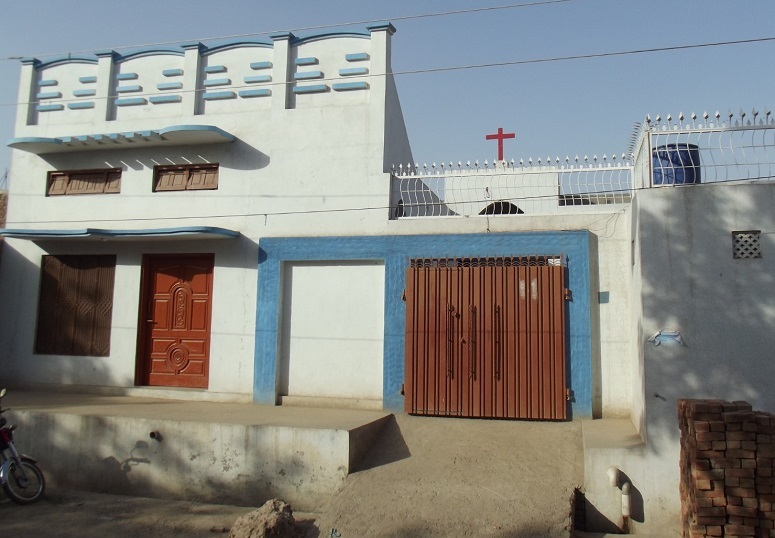 World Watch Monitor reported in December how many churches in Pakistan have been forced to close as a result of police not offering them security. Pakistan introduced the Punjab Security of Vulnerable Establishment Ordinance in 2015 to impose security measures on worship places, including church buildings, prompted after the Army Public School in Peshawar was attacked in December 2014, when 141 people – mainly children – were killed. The Ordinance says “that a committee, constituted under the law, will inspect vulnerable establishments on a quarterly basis and issue advice, in writing, to the manager of a vulnerable establishment for such security arrangements as may be necessary on the basis of threat perception”. But precisely what is meant by a “vulnerable establishment” is not defined. It is quite possible that, if only a few people meet somewhere, the police may ask them to install heavy security equipment. And most small churches have been unable to meet those requirements. Indeed, several court cases have been lodged against church leaders who had failed to put in place security measures such as metal detectors, CCTV cameras, walk-through security gates and barbed wire installed on church-boundary walls. According to the Pakistan’s constitution, a person’s security is the responsibility of the state. The constitution also provides special protections for religious minorities in religious, social and economic matters. However, contrary to these constitutional protections, churches are often forced to provide for their own security, which is primarily the responsibility of the state.